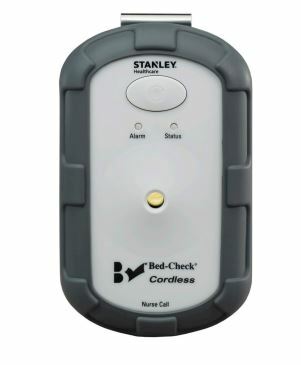 The Bed-Check Cordless Monitor System includes an easy to use monitor, cordless sensor pads and a wireless transmitter which enables medical personnel to mount the monitor in a variety of locations to maximize safety, eliminate tripping hazards and eliminate “audible restraints”. Supports a quieter patient / resident environment. Programmable to operate as Nurse Call Only or monitor may be located outside of patient room. To obtain more information or to schedule an in-service and/or trial - please call us or click here and fill out the Contact Form. • Use the most technologically advanced fabrics. Each compression class of our stockings uses a different weight of fabric for effective therapy and maximum patient comfort – specific fabrics for specific compressions. • Are shaped to fit. Our stockings are knitted to conform to the leg shape and apply accurate and comfortable compression with unique “Floating Heel” technology. • Are easier to don and remove. We combine the lightest weight fabric possible for a specific compression class with shaping to fit. This greatly enhances patient comfort and compliance. • Are available in a wide range of sizes. A correct fit means comfort, patient compliance and effective therapy. • Offer certified compression. Our Procedure Pak compression stockings are tested stringently in-house and certified for compression by an independent hosiery testing laboratory. • Are easy to care for. Machine wash and tumble dry. • Are dispenser packaged & cost effective. Save space and money dispensing stockings in singles or pairs. please call us or click here and fill out the contact form.